A 3-year-old male child is referred to genetic clinic for suspected syndromal disease. He was born in full term with birth weight of 3.2 Kg by non-consanguineous Chinese couple. The perinatal history was unremarkable. 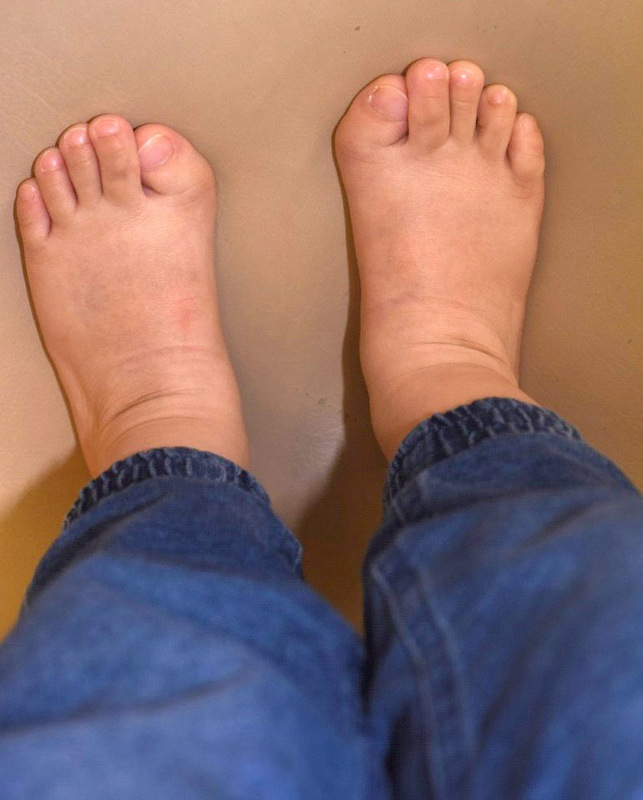 He was noted to have bilateral deformity of big toes at birth (Figure 1). X-ray showed bilateral hallux valgus without bone destruction. Systemic review was normal. He had received up-to-date immunisation without adverse side effects. The family history was non-contributory. Based on the toe deformity, a rare genetic disease was suspected that confirmed by molecular testing. Figure 1 The proband has bilateral deformity of big toes at birth (with consents for publication by parents).